Does combining lung, heart, and vein scans improve test performance? We review a prospective study evaluating the accuracy of a combo ultrasound of the lung, heart, and veins to diagnose pulmonary embolism (PE) using CT pulmonary angiography as gold standard. 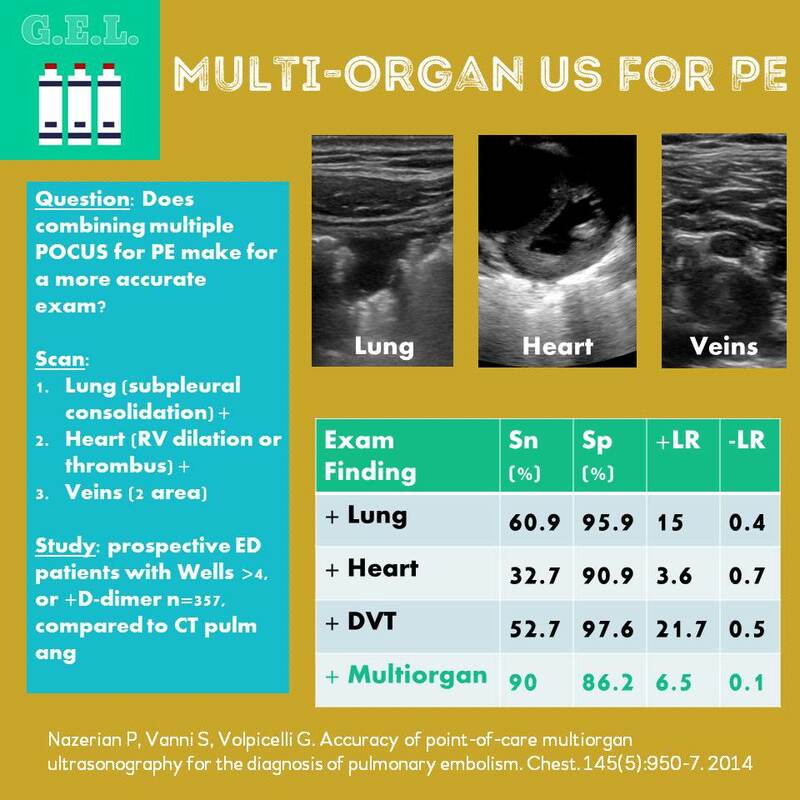 Is it possible to use ultrasound to rule out a PE? Listen to our thoughts and let us know what you think! How often is the LUQ view useful? The left upper quadrant view in the FAST (focused assessment with sonography for trauma) exam can be difficult to get just right. This paper examines how important it is in finding intraabdominal free fluid. 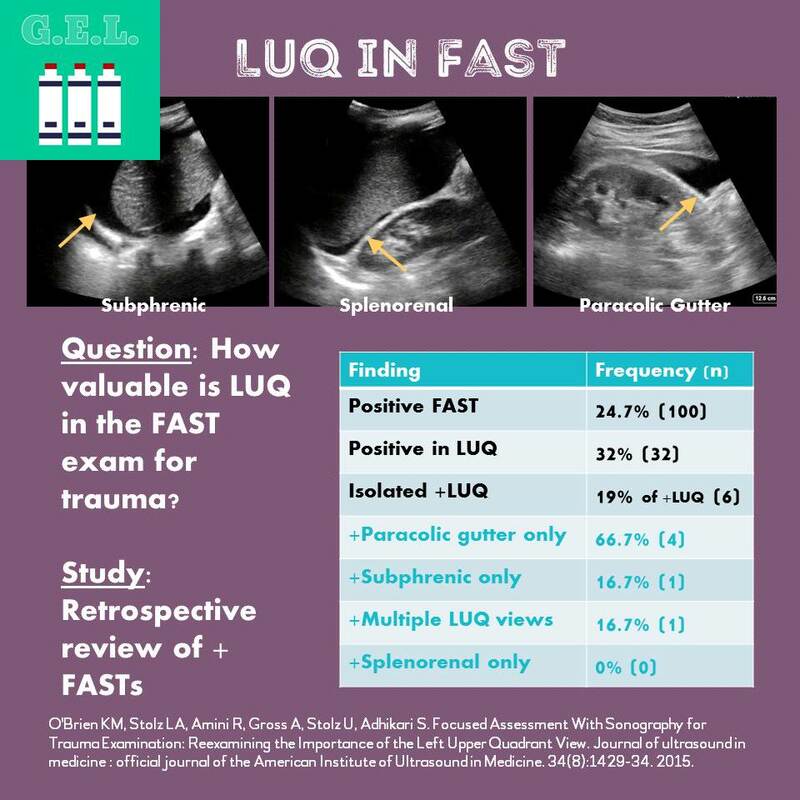 The authors reviewed FAST exams to determine how often there is free fluid only in the left upper quadrant. Also, they looked to see which part of the left upper quadrant free fluid went to most often. Spoiler alert: its not the subphrenic space! 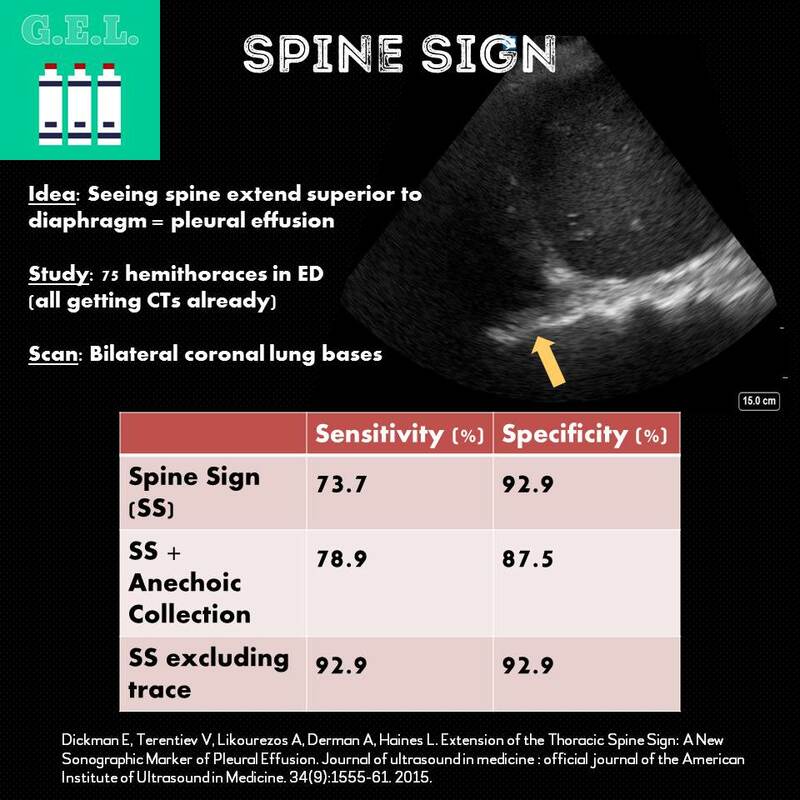 This paper examines the utility of the extension of the thoracic spine sign at detecting subtle pleural effusions on point-of-care lung ultrasound.